To automatically look for your search terms on a daily, weekly, or monthly basis. A great way to save time and keep up with new literature is through the use of alerts. Many resources will let you create alerts to automatically re-run your searches and let you know when new articles are released. Alerts may be delivered by email or as an RSS feed. Usually some form of account registration is required. To have the newest table of contents of a specific journal delivered to you as it becomes available. To recieve notification when a specific article is cited in another work. Search alerts allow you to search for a topic in one or more databases and then save that search to be automatically run on a regular schedule. When new items are found that match your search, you will be sent an e-mail message or a new entry will appear in your RSS feed. Most search alerts require you to create an account on the database first, then perform your search, save it, and then set up your alert. (This is often done from the results screen or from your search history screen). Instructions for individual database providers are given below. Note: certain searches and limiters may not be used in a Keep Me Posted alert. See link for details. Table of Contents alerts allow you to be notified when a new issue of a particular magazine or journal publication comes out. 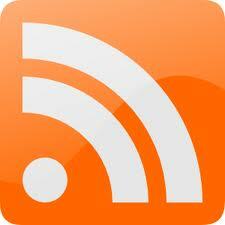 An e-mail message will be sent or a new entries will appear in your RSS feed. Many Table of Contents alerts require you to create an account on the database first, then go to the specific journal title and then set up your alert. (This is often done from a Publication search). Instructions for individual database providers are given below. To set up a Table of Contents alert for a journal in PubMed, you must first search for the name of the publication. You can search for the full name in quotation marks followed by [Journal], and then create alerts as described below. To set up a Table of Contents alert for a journal in Web of Knowledge, you must first search or browse for the name of the publication and then create alerts as described below. JournalTOCs is a service to bring the Table of Contents RSS feeds from thousands of journals into one place. You can manage your journals list on the site, or use an RSS reader to subscribe, or even export your whole list to import into your RSS reader. Citation alerts will notify you when a particular article appears in the bibliography, references, or works cited page in another work. This is useful to find new articles that cite an article of interest, or that cite your own articles if you are an author. Most citation alerts require you to create an account on the database first, locate the article of interest, and then set up your alert. (This is often done from the articles screen that shows the abstract). Instructions for individual database providers are given below. Search for the article of interest, and click on the title to view the Full Record. Click the Done button to create the citation alert for the current record and to return to the Full Record page. The alert is active for one year. You may renew the alert at any time. You will receive an e-mail approximately two weeks before the alert expires to remind you to renew the alert. Creating Citaiton Alerts - search for "Article Title", click on "Times Cited", create e-mail alert. RSS (Really Simple Syndication) is a standard and format used to distribute frequently updated news and other content appearing on a Web site. 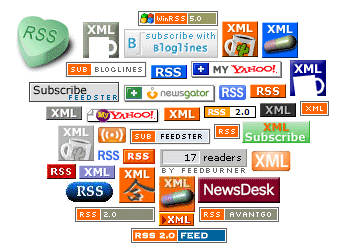 Subscription to an RSS feed (the content) requires a newsreader or content aggregator. A reader may be stand-alone software, a web site, or a browser plug-in, or built into some email programs. A few popular newsreaders are listed at the bottom of this box.